The riotous eruption that opens the record, ‘Ill Ray (The King)’, takes the self-aggrandizement of the best hip hop diss tracks and delivers it with a fistful of Leicester-bred piss-taking. The video was written and conceived by Serge Pizzorno and features the three-time Emmy Award Nominated Game Of Thronesactress Lena Headey, who plays Queen Cersei in the show. It sees Lena meddling with the occult in a ploy to bring King Richard III back from the dead, whose body was buried in Leicester. Written and produced by Serge and recorded at the Sergery, his Leicester studio, Kasabian’s sixth studio album For Crying Out Loud was released in the UK on May 5th, landing them their 5th UK #1 album. For Crying Out Loud is available on all DSPs in the US now via RED. The band will release a physical version of the LP in the US via Third Man Records on September 1st. Lead singles “You’re In Love With A Psycho” and “Bless This Acid House” are buoyant, spirited sing-a-longs, bursting with the band’s renowned swagger and brilliant knack for rousing choruses. Kasabian have firmly established themselves as British national treasures, with a flawless discography and legions of fans. In the space of their previous five album releases they’ve pocketed a UK GRAMMY-equivalent BRIT Award, seven NME awards and four Q Awards. Their euphoric live sets have taken them to the headline spots at multiple music festivals, including the world’s biggest: England’s legendary Glastonbury Festival. It’s been three years since North American fans were treated to a tour. The band revealed plans for a run of North American live dates in September -including stops in New York City, DC, Boston, Chicago, Los Angeles and more. 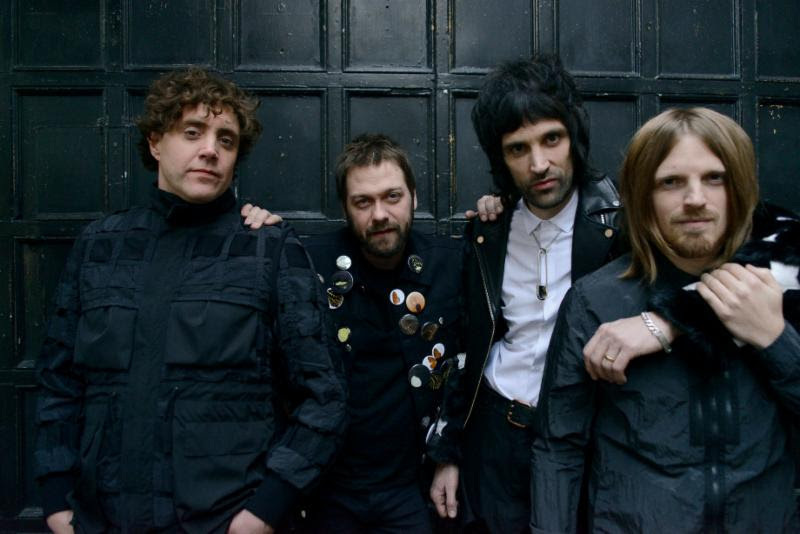 Kasabian are: Serge Pizzorno (guitar and vocals), Tom Meighan (vocals), Chris Edwards (bass), Ian Matthews (drums) and Tim Carter (Guitars).